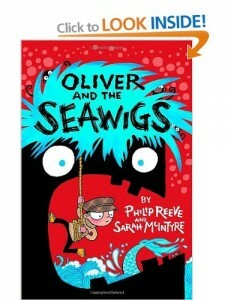 What an amazing new story from Philip Reeve and with illustrations by the fabulously understated Sarah McIntyre. 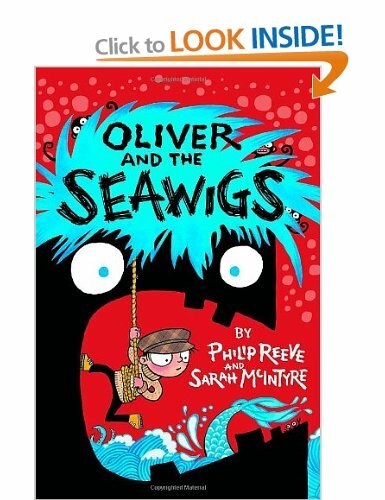 This is aimed at younger readers of about 7+ and is a magical tale of Oliver, who goes in search of his parents, who have been kidnapped by the rambling isle which had appeared near their home, and which had then floated off with them. The story is full of amazing characters such as a short sighted mermaid, an island called Cliff! and a very grumpy albatross. It is totally whacky and will really appeal to young readers, and even those of us who are less young. Thanks to the publisher for the proof.